GTData version 9.0.0.3 is available. - NEW - #6126 - GTGts2Gtg - GTGts2Gtg utility added to export the session graphics out of a .gts file into a .gtg file. - NEW - #6158 - GTFont - If a character is already defined in a font definition file, it will now display an error message. - NEW - #6161 - GTGetArea - The GTGetArea utility has been added so that a rectangular area can be written from a .gtg file into a new .gtg file. - CHG - #6184 - GTQuery - The Omit Item limit has been increased from 2000 to 5000. - NEW - #6226 - GTIndex - Support for CategoryStyleScale in Parameter file. - NEW - #6234 - GTTextQuery - OmitNumeric property added. - FIX - #6257 - GTConv - When using UseLevelAsFilterId, Cell Header elements with no linkage would not use the cell's first element's level for the group. - FIX - #6259 - GTConv - Nested Cells did not get the first non-cell header element for the filter id when using the UseLevelAsFilterId mode. - NEW - #6267 - GTFShiftGtg - Parameter File support is added to allow Offset entries to be specified similar to that in GTTile1.exe. - NEW - #6269 - GTQuery - The Feature entries now support string values as well as the "SW:" tag. Wildcard (*) can now be used for feature or component field or just a feature can be specified. - NEW - #6305 - GTQuery - HighlightMode property has been added to query definition. - NEW - #6310 - GTFontEdit - Import Gtg functionality added. - FIX - #6312 - Core - Group element with sub-elements containing linkages or embedded data were not handled correctly, especially if the the group itself did not have a linkage or embedded data. - FIX - #6313 - Core - Stroking Arcs with angles greater than 2*Pi would cause problems. - NEW - #6314 - GTPreset - Display Definition notation will now support an All() item that will set all filter ids in a category On or Off. GTViewer version 9.0.x.10 is available. - FIX - #6298 - Closing GTViewer with multiple non-modal (Type 1 or Type 2)External App running could cause problems. - FIX - #6299 - Feature Tooltip Logging message was showing the category id for the filter string parameter. - NEW - #6306 - Support for the HighlightMode property in Queries. Highlighting can be persistent (default) or non-persistent now. - NEW - #6308 - Support for an "External" application type to launch scripts, applications, and documents like an ActiveX or DotNet External Apps through the Query and/or Applications menus. - FIX - #6312 - Group element with sub-elements containing linkages or embedded data were not handled correctly. Version 9.0.x.2 of GTVx is available. - NEW - #6300 - OpenFileEx method has been added to allow alternate .GTM or .GTX file to be used with an existing session file. - FIX - #6301 - The Fit Data operation was synched with GTViewer. - FIX - #6302 - FontColor structure was not being initialized with CreateSession method. - NEW - #6307 - Support for the HighlightMode property in Queries. 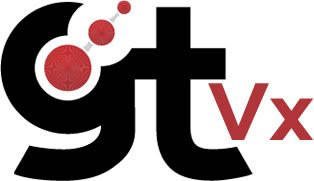 Version 9.0.x.1 of GTVx is available. - NEW - #6266 - Filter Id is now supported by the Symbol entry definitions in the .GTM file. - NEW - #6271 - Support for the "SW:" tag in the filter files. - NEW - #6287 - Feature Tooltips will now support the GIS() notation for specifying filter ids. - NEW - #6289 - Custom Attribute Info tabs are now supported. - NEW - #6290 - Attribute Info dialog box now supports sorting rows when column is clicked. - NEW - #6291 - The Attribute Info dialog now supports a Print button to print the current tab. - NEW - #6292 - ConvertToSessionGraphicsMode data property has been added. When set to 0 (default), it will function as it always has. When set to a number greater than 0, it will use that value as the zoom level for scale dependent graphics. When set to -1, scale dependent graphics are omitted. - NEW - #6294 - Filter Info section added to Element tab. - NEW - #6295 - Selecting a coordinate row on the element tab will now draw a highlight circle at the selected coordinate. support conversion of symbols to text element to preserve symbol character in session category. GTViewer version 9.0.x.9 is available. - NEW - #6265 - Filter Id is now supported by the Symbol entry definitions in the .GTM file. - NEW - #6268 - XmlExportMode has been added to the Additional Properties section. Can be set to GTField to produce a GTField specfic XML export format. - NEW - #6270 - Support for the "SW:" tag in the filter files. - FIX - #6284 - With 2 or more Post Actions, if the first one failed, it would say no data to post even though it could post data on the next action. - FIX - #6285 - Post Actions would say No data to post for each action when it should only give the message once. - NEW - #6286 - Feature Tooltips will now support the GIS() notation for specifying filter ids. - FIX - #6288 - Sorting a Custom Attribute table would cause problems. Sorting should not be allowed on custom attribute tabs. - NEW - #6296 - Coordinate Indicator on the element tab will now support the Center and Origin coordinates as well as the Point coordinates.